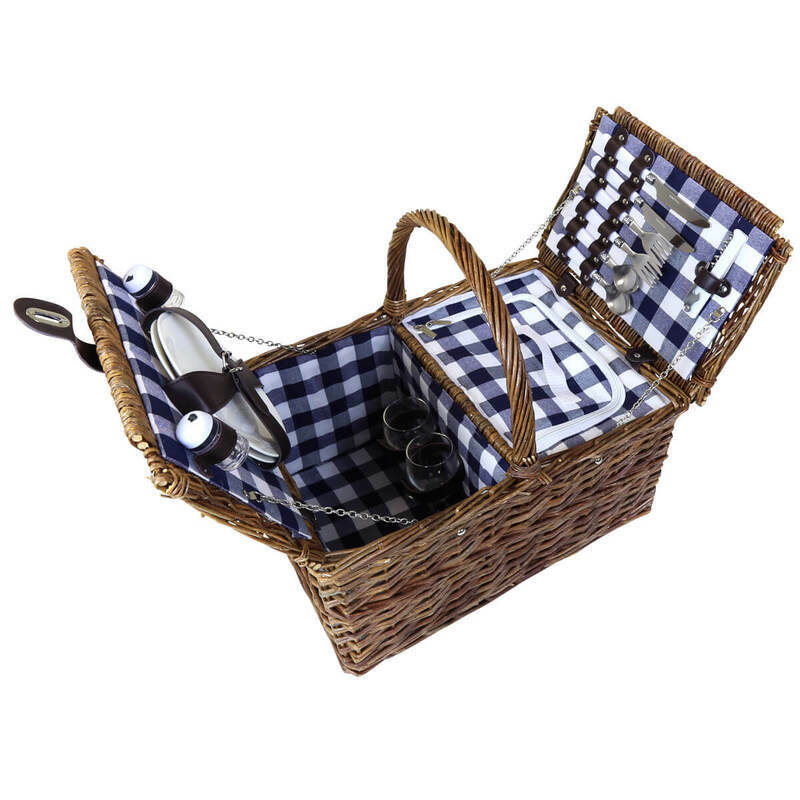 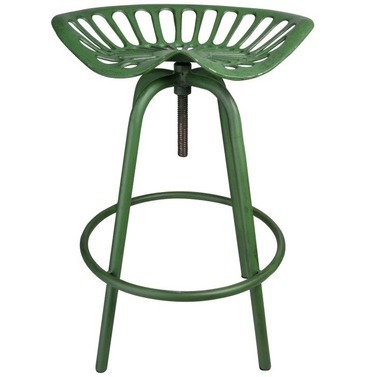 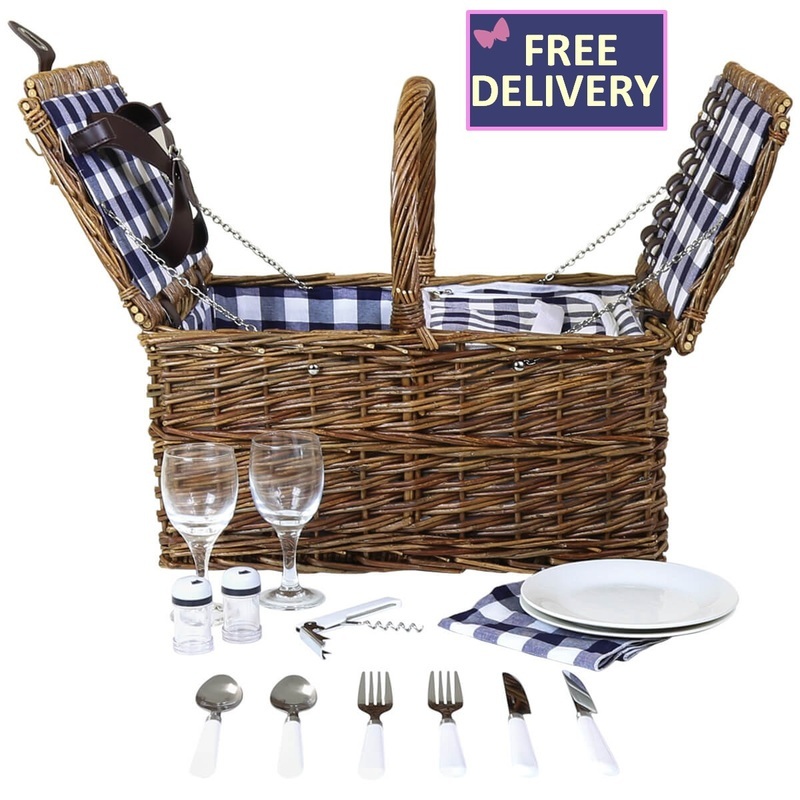 This lovely 2 person Picnic Hamper is constructed from hard-wearing wicker, with its traditional picnic basket style this set has everything that you need for a romantic alfresco dining experience. 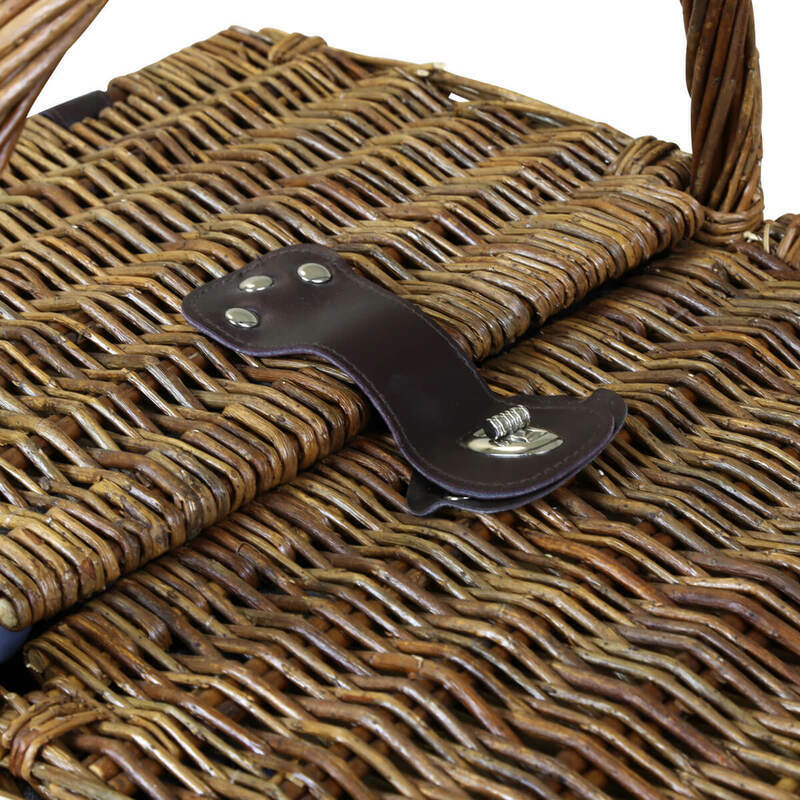 The two lids that open up to reveal two inner compartments, the basket has an integrated cool bag to store food and drinks and keep them chilled. 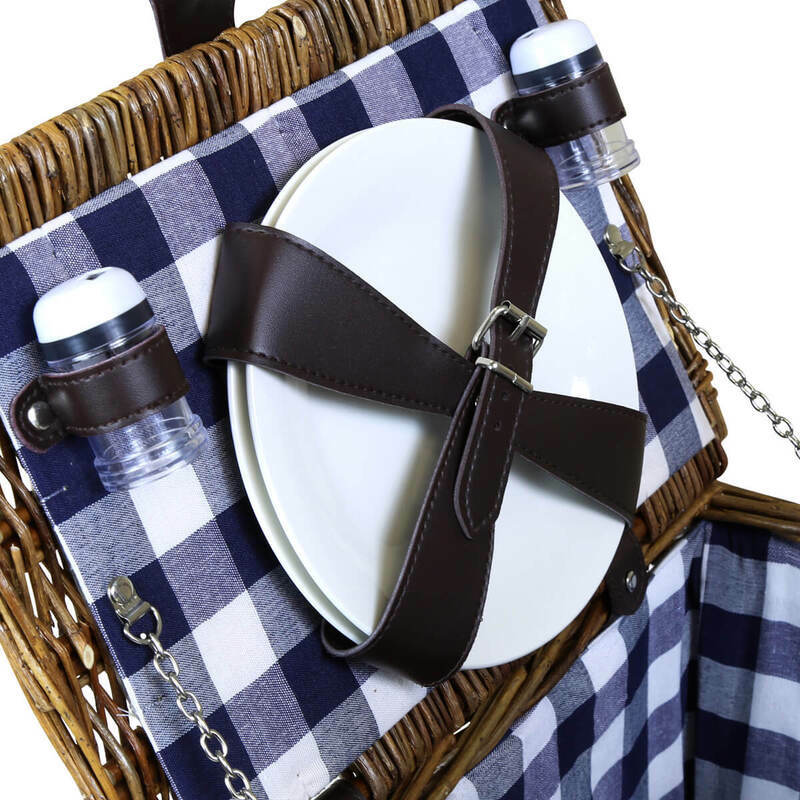 The set comes complete with knives, forks, spoons, plates, wine glasses, a corkscrew and one salt and pepper pot, there is all of the essential elements needed for a pleasant picnic.